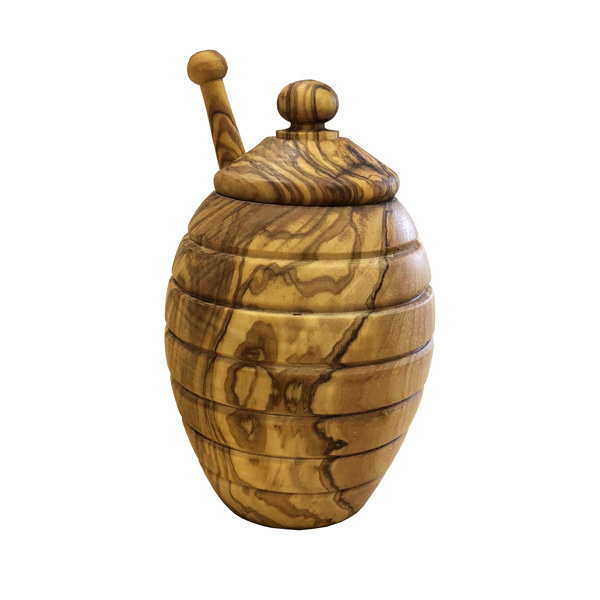 This beautiful olive wood honey pot comes complete with a honey dipper / honey spoon. All made of olive wood this set is very special. The honey pot stands at 5″ tall and 3″ diameter with a lift off lid. 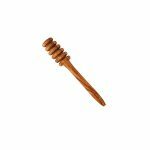 The honey dipper / honey spoon is approximately 4.75″ long and sits inside the lid. This lovely olive wood set is a great way to serve honey. Made by hand in Tunisia.